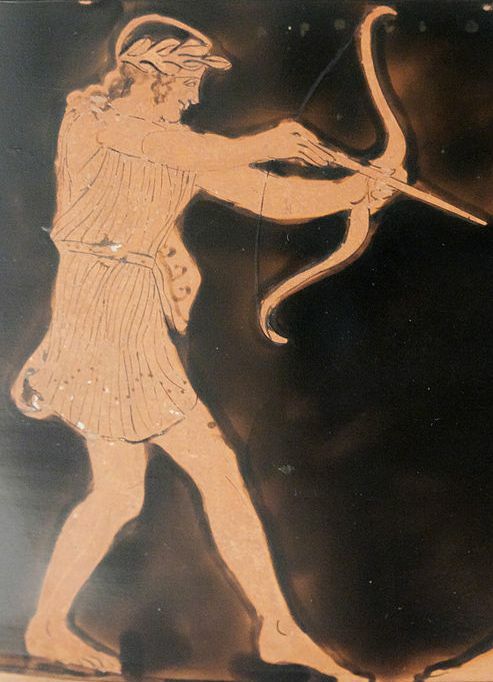 Apollo Tityos by the Nekyia Painter around 450 BC. From the Metropolitan Museum of Art. Photo by Marie-Lan Nguyen (2011) (cropped by Ducksters). Licensed under CC BY 2.5 (http://creativecommons.org/licenses/by/2.5)], via Wikimedia Commons.